Ok people. We’re at that point in the year where the guilt really starts kicking in. Where you start thinking about your classes and realising, with a knot of dread, that you might have been failing them since September. That the clever ones aren’t being stretched and the not so clever ones are being left behind. It’s the biggest elephant in the staffroom: Mixed Ability. The Great Mixed Ability Debate is an ongoing storm of guilt, shame, and expectation with a very obvious conclusion – that we aren’t doing enough, never doing enough, can never do enough to accommodate for the wild spectrum of academic needs and ability levels in the unstreamed, unset classroom. But (and here starts the blog post in earnest) I’ve been thinking. I’ve been thinking that, despite over a decade of classroom experience, I’m going to have to fold. I can’t do it. I can’t solve the mixed ability Rubix cube. The squares are too jumbled up. I can’t What I can do, though, is what I do every time I step into school. I can have an experience. And so can the students. See, the thing about us teachers is that we spend so much time angsting over what the kids can (or can’t) do that we fail or forget to worry about what they will (or won’t) do. There’s a huge difference. One of the insights on my tweezer-thin list of insights gained in teaching for ten years is that this whole thing is based in the experiential. Teachers are pilots of experience, designers of being, not orchestrators of activity. We can fool ourselves into thinking that we are delivers of learning, project designers, administrators, thought leaders, lecturers, jumped up babysitters, kids’ entertainers or drill sergeants, but nope, all we are is what we are, people in a room conducting a shared experience and thinking about these experiences before, after and during they happen. Imagine for a second that you knew each of your mixed ability class with the level of insight that you know yourself. Now forget that each member of your class has a different ‘ability’ level to everyone else. Now start thinking about their preferences for experience, not their learning styles – just how they prefer to experience things in general. 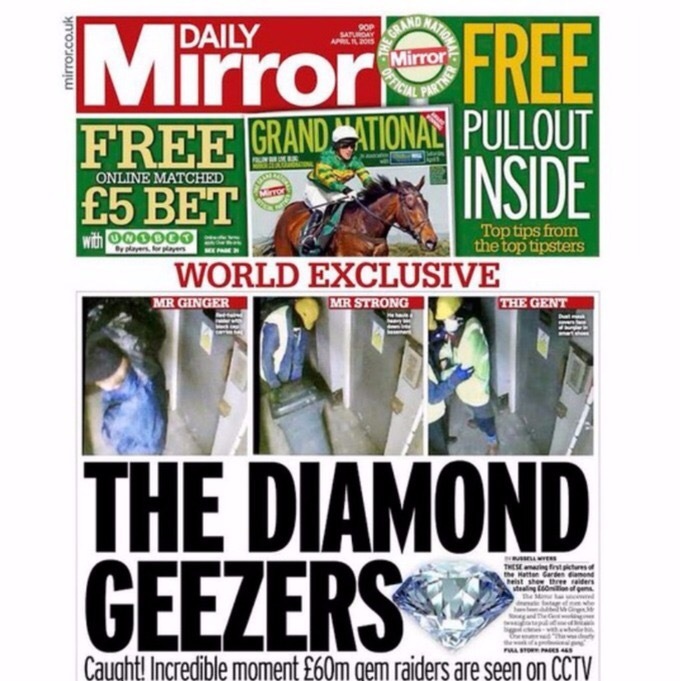 This, I think, could be key. Maya Angelou once said something very insightful about people. She said, and I’m paraphrasing here, that people will forget what you said, but they will never forget how you made them feel. Teachers would do well to bear this in mind. I would argue that the experiential is the biggest single factor in engagement, willingness and ultimately, ‘success’. The best students are the ones who take a lesson, or lecture, or piece of homework or whatever, and morph it into a desired experience, independently. If they like being organised and making lists, they lean into that. If they’re creative, they think creatively around the topic content and sit in silent wonder in the Willy Wonka factory that is their cognitive imagination. If thy love a project, they treat the lesson like part of a greater whole. Et cetera. Meanwhile, the worst students do THE EXACT SAME THING, just with less desirable outcomes. IF they like chatting and avoiding the task at hand, they chat and avoid the task at hand If they like subverting order they probe at the teacher’s private life instead of applying themselves to whatever ‘activity’ has been offered. If they like being in control, they get control, by dominating, acting up, or pandering to you, the boss. This is so much bigger than ability. I don’t have the statistics to hand because I’m typing this quickly and can’t google the facts, but I would imagine that millions of people across the world go skiing. Hundreds of thousands at least. I am not one of them. Of this number, only the tiniest fraction are what you would call, ‘high ability’. I’m thinking the handful of Winter Olympians who take home a medal (note: of all athletes present at the games, only three per cent will make it to the podium – factoid courtesy of the BBC). This means that the vast majority of skiing humans on this planet are anywhere near good enough to be in the top set. And yet, millions of of people take to the slopes annually, buying into the lifestyle, the thrill, the cold, the fun, the exercise, the image or whatever it is that constitutes their skiing experience. And of course, many of these people are probably, as we speak getting better at skiiing because of their commitment to the experience, which is a very desirable irony. I don’t teach skiing, and neither do you, but you get the point. If teachers started thinking less about the ability of their students and more about the quality of their experience, we might be able to stop handwringing over students who can and can’t. So, with day one of half term ticked off, I’m going to stop agonising over the details of what happens in my classroom and throw that energy at what I’ve always been more concerned about anyway: what is being experienced in my classroom, by each person in there. First lesson back, a simple question with no threshold: what do you like to do, and how do you like to do it? Shelve the outcomes, and planning can start from there. Something to think about. I recently heard of a superhero themed training session at a boys’ toddling football club. This is apparently a thing now. The idea is that for one mid-morning only, all those kick happy little strikers would be allowed, encouraged, required to don a superhero costume and play football like a new Avenger. It’s the perfect storm, the perfect meeting point of masculinity and machismo, asking boys to become super boys and supercharge their gender-led sporting childcare. How far the lowly superhero has come. 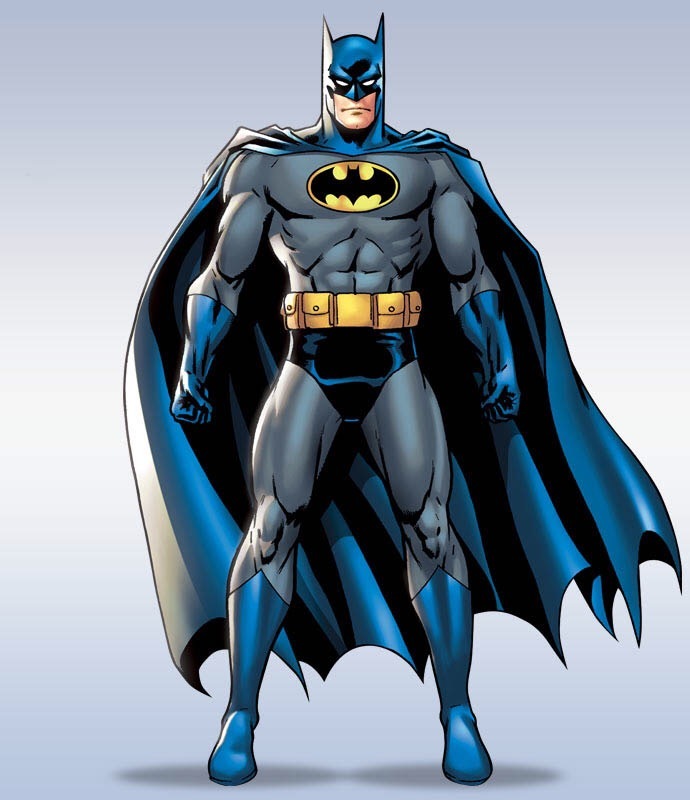 To think, in less than a generation, colourfully-clad cape-wearing creations of the comic world have infiltrated the mainstream on such a fundamental level. I blame the success of the Marvel Studios movie franchises, the innumerable string of blockbusting sequels and reboots that have transplanted the superhero from the nerd’s bedroom into the silver screen, toyshop shelf and supermarket shopping aisle. 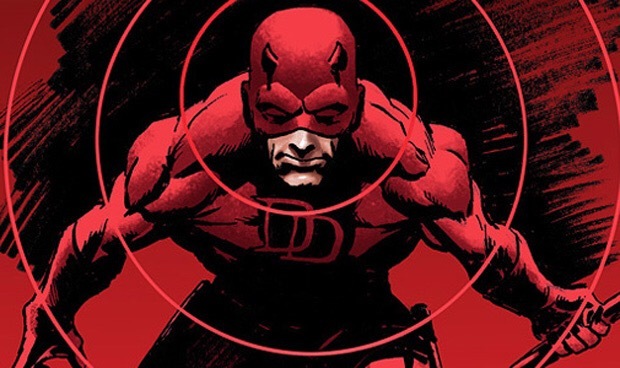 The modern superhero is confirmation of that most dangerous of things: the masculinity myth. It’s a wham bam reminder that strength is supposed to be strong, that invulnerability is manly, that masculinity is power. Explosive, rippling power that can save the universe and take your breath away in the same moment. The modern superhero sells invulnerability and we (the general public) have bought it wholesale. A generation of boys who are being socialised to accept that tough masculinity is an aspiration. Browse through the kids’ aisle at any major supermarket and you’ll see a parade of musclebound superhero costumes for boys, and princess dresses for girls, usually specific to movie franchises that you can buy on DVD a few aisles later. The dangers of masculinity to society at large are obvious; its promotion of violence, its grip on social hierarchies and rigid inflexibility. Its emotional bluntness and reliance on archaic codes of manliness that are increasingly at odds with a modern, nuanced world. In this sense, the superhero is masculinity magnified to cartoon proportions, primary-coloured and in your face, perfectly poised to hook little boys into a macho way of thinking. Even reading books, that well-loved intellectual and emotionally sensitive pasttime, has been infected by the gender binary bug, with World Book Day costumes at school often falling into a superhero/ princess dichotomy. The big problem here is that by encouraging boys to be BOYS!™, their sensitivities and vulnerabilities are being overlooked. And, (bringing us to the point of this essay) SUPERHEROES WERE NEVER MEANT TO BE INVULNERABLE IN THE FIRST PLACE. Let me elaborate. Is the eternal nerd. He’s the high school geek who caught superpowers through his obsession with science. His motivation is guilt and shame, having been responsible for his beloved uncle’s death by being too cocky to stop the crooks that ended up killing him. He’s an orphan. He can’t hold a romantic relationship down and wears a mask to hide his identity, rather than create a feared one. And his webs aren’t part of his superpower; he built them. They come from his ingenuity. 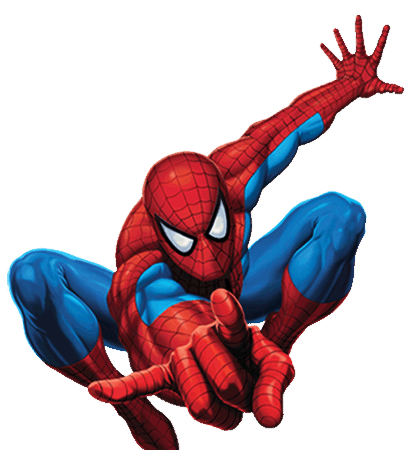 Imagine if we asked little boy spider-fans how it feels to be alone, why Spider-Man helps other people when he hasn’t got enough money to pay rent, what it feels like to live with cringing guilt. Rather than wear a six-packed red costume and pretend to punch baddies? This is a civil rights narrative. 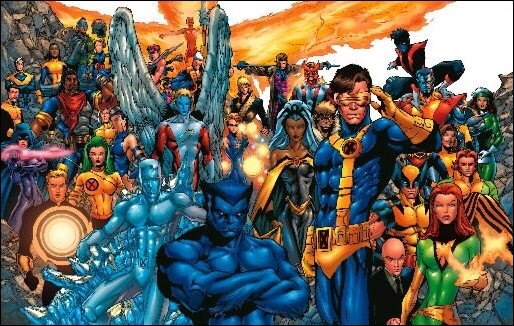 The X-Men are a group of mutant freedom fighters, ostracised by society because they are different, weird, freakish, and labelled dangerous. We should ask little boys playing X-Men dress up what it feels like to be different, how we can empower ourselves when we feel disabled, how to recognise the qualities in ‘disabled’ people, why society is so scared of ‘different’ people. Cyclops is blind and destroys things whenever he opens his eyes. Nightcrawler has three fingers and two toes. Beast is blue. And furry. Rogue cannot physically touch anybody without killing them. Professor Xavier is wheelchair bound. 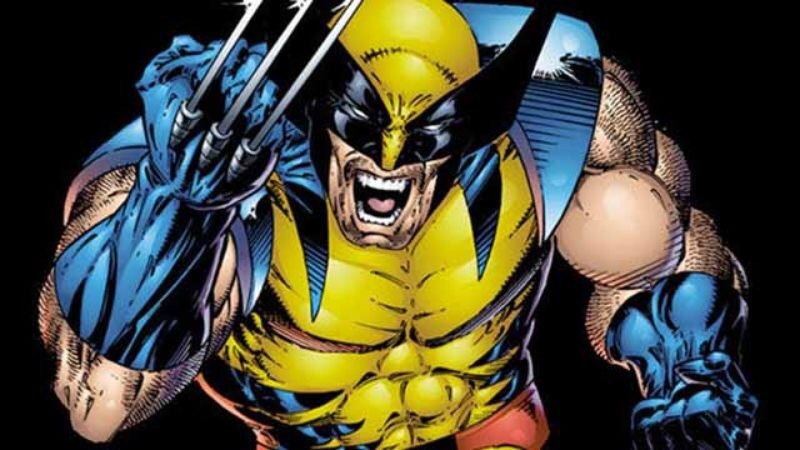 Wolverine is 5’3. Et cetera. Yet they are all heroic. In a world presided by a ‘norm’ that is white, male, heterosexual, able-bodied, Christian, middle-aged and middle-class, counter narratives are more important than ever. So many of us are misfits to social ideas of ‘normality’, freaks who are too much of one thing or too little of another to fit ingrained expectations. X-Men explores these tensions with insight and complexity, where (some) mutants fight for a greater good in a world that doesn’t understand them. For our children, the pressures to be normal can be debilitating, manifesting in adult traumas and anxieties borne of unaccepted difference. Is old! His fast-healing factor means that he ages at an incredibly slow rate. He’s older than your great grandparents. What better opportunity to discuss attitudes to older people, to generations that came before who seem so distant? The recent BBC investigative documentary No More Boys and Girls revealed worrying trends of very young boys being unable to express and articulate a healthy range of emotions, apart from anger. Statistics prove that young men suffer from mental health issues linked to anger and unresolved frustration that too often leads to broken relationships and suicide. 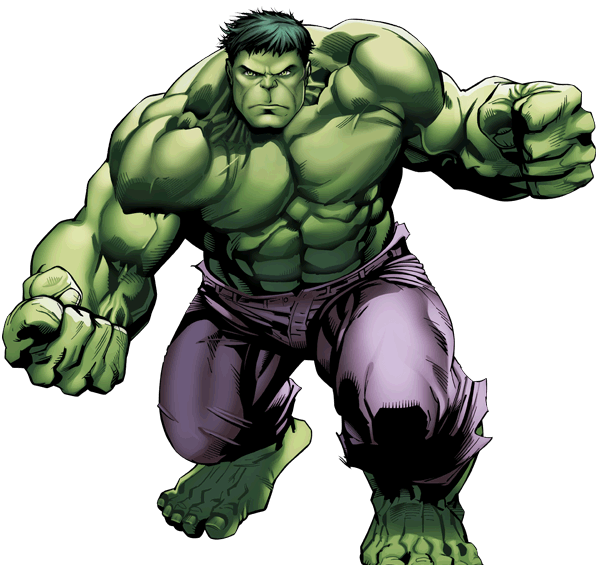 The Hulk, a super-powered, inarticulate, green skinned, unstoppable monster triggered by rage, is the perfect personification of masculine anger. Why does Bruce Banner get angry? How do you cope with rage? How can Bruce Banner channel the Hulk for good? What are the downsides of having a rage-filled persona lurking in your body? Can you control anger? All questions that young men need to tackle for the benefit of themselves and our hopelessly masculine world. The least super of men, Kal-El, son of Jor-El is an orphaned immigrant misfit who depended solely on the kindness of strangers for his humble start in life. 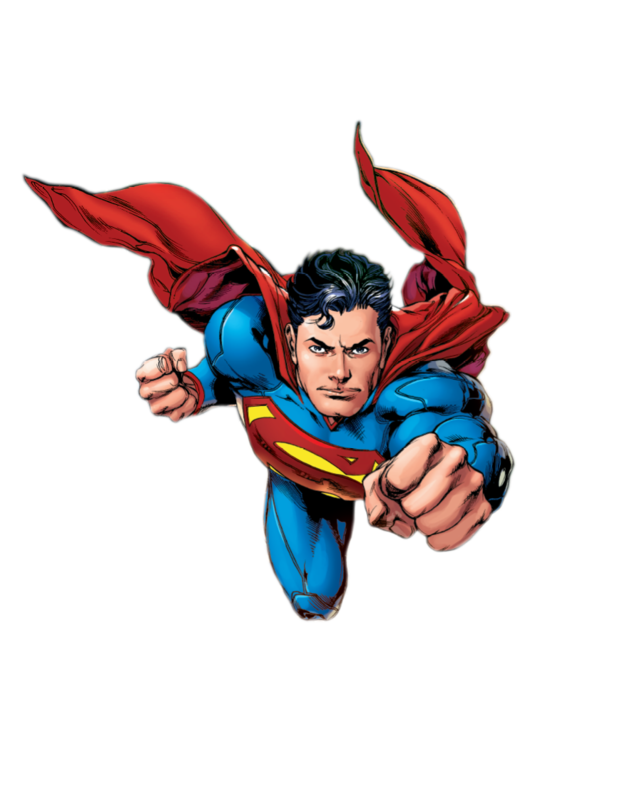 His alter-ego, ‘Superman’ is hopelessly incompatible with the world he lives in, existing as a protector of the weak but unable to find love himself. His ‘disguise’ persona, Clark Kent, is equally ostracised, clumsy and awkward and unable to explain his inner emotions or life story to a woman he desires and loves from afar. This is basically every teenage boy on the road to adulthood, awkward and inarticulate, but bristling with a half-known power that promises great things, but can’t be discussed in public. All men are under pressure to be super – to earn more, run faster, be better looking, get good grades, write the best book, be the funniest, have the fastest car. How good would it be to peel away the expectations for boys to turn into super men, and discuss, really discuss, the vulnerabilities that lie therein? Yet another orphan. Another lost little boy overcompensating for his lack of stable family, fighting fire with fire, turning deepest darkest fears into harsh vengeance for bad guys. All that gear, all those toys, all that building up of a shatterproof persona, just because he doesn’t want to feel what he must feel – alone, scared and vulnerable. Inability to form healthy relationships. Mental health hanging in the balance of city he hates to protect. Batman needs a hug. 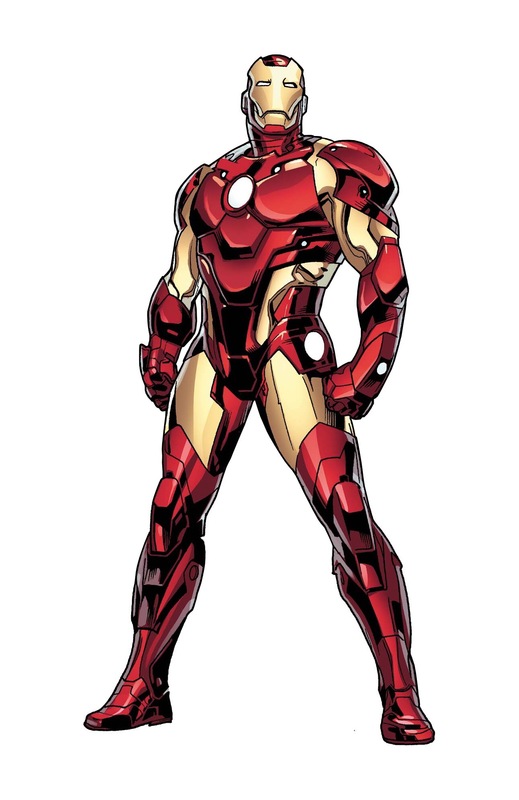 Tony Starks has ‘it all’ – the looks, the money, the women, the brains, the one liners, the ingenious exo-skeleton power suit that enables him to fly through the air and blast baddies into oblivion. But he’s dying and he knows it. His body relies on technology for survival. He’s severely handicapped, terminally ill, and living with death shadowing his life. His super suit is a pacemaker. If anything, his real superpower is his optimism and motivation to make something meaningful of his life beyond all the usual signifiers of success. An Iron Man discussion group could be a great place to start discussing empathy, fear, success and disability. Is blind. Which would be debilitating if not for the fact that his other senses are so acute that he is actually able to do more than the ‘normal’ person. What a great lesson in diving into vulnerability, being blind but trusting your other senses. We’d do well to teach our boys that not being good at (or able to do) one thing doesn’t rule out other kinds of success in other areas. Only became super after volunteering for a highly experimental, highly dangerous super-soldier serum administered by the US government during the Second World War. Before that, he was Steve Rogers, an aspiring soldier who was too physically weak and asthmatic to make the grade. It’s sad enough that he was the cleverest recruit in the ranks but was so blinded by hypermasculinity that he saw this as his only route into success, but as Captain America, his sole identity is a hero role imposed by masculine power structures (in this case, the military). We need to ask our boys which socialised roles they feel compelled to play, what the social pressures are and why they feel the feed to conform. Men are too often trapped by socially constructed roles created by callous power hierarchies at the expense of their own emotional wellbeing. Steve Rogers should never have become an artificially enhanced walking weapon – that’s the tragedy of the masculine approach. And worse still, becoming Captain America, the pinnacle of macho success, leaves him depressed and alienated from the modern world he finds himself in (after being cryogenically frozen and woken up after WW2 has ended). What are you fighting for? What are you trying to prove? To who? What’s wrong with being weak? Is power worth it? What is power? 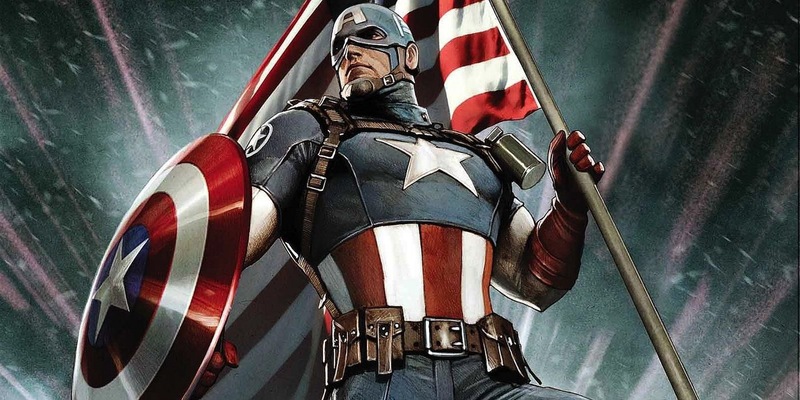 This excellent article lists all the ways in which the Captain America myth is a case study in depression, opening the doors to a profound debate over the damage hard masculinity can do to the male psyche, up to and including reckless behaviour, insomnia, repressed emotion, shame-guilt and suicidal tendencies. At a time when suicide is the biggest cause of death among British men aged 20 – 49 (three times as many as women), we need to seriously reconsider the risks posed by masculinity roles and that ever present imperative – “Man up”. I’m a huge comics fan. I have thousands of the things hidden up in the loft and a string of graphic novels on steady rotation. I formed my adolescent conscience in this balloon captioned swirl, forming deep psychological affinities with 2 dimensional figures on glossy, panelled pages. And when I eventually emerged into adulthood (sort of) the only thing I was clear on was that these characters were hardly ever ‘super’. In fact, they were often as flawed as we are, if not moreso. That was the point. That’s what missing from the lazy assumption that boys will benefit from dressing up as superheroes who are supposedly invulnerable. It’s the vulnerability that is important. 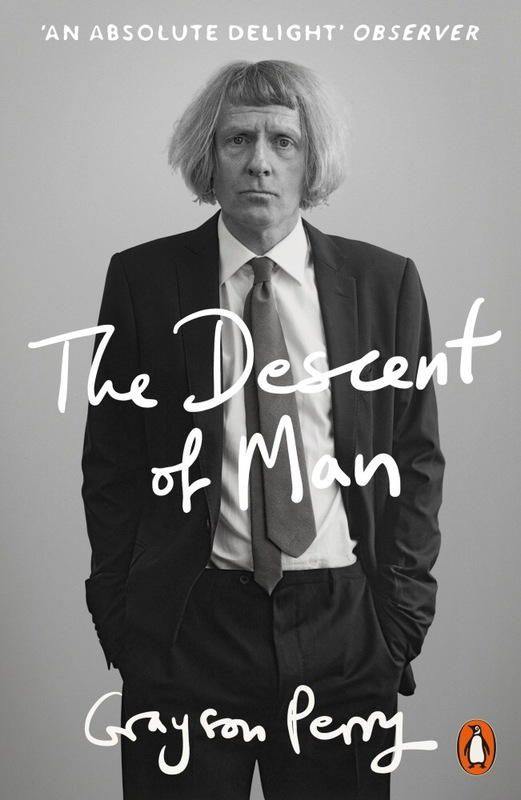 I’ve been fortunate enough this summer to have read The Descent of Man by Grayson Perry, a truly excellent essay on the risk posed to us all by blunt masculinity. In it, Perry discusses the need to acknowledge and embrace and actively encourage vulnerability, particularly among men who have been socially and historically conditioned to put up shields against this ‘weakness’. Brene Brown, a social researcher namechecked by Perry, has written extensively on the topic. 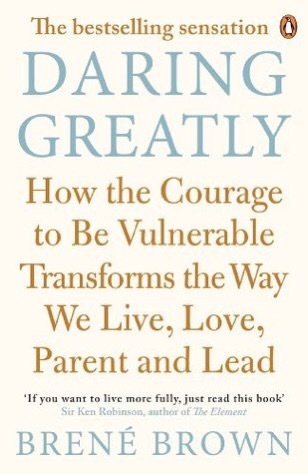 Her book Daring Greatly patiently explains why the ability to be vulnerable is key to emotional stability and healthy relationships. It formed the basis of a well-being programme I helped develop for GCSE students last year. Through this lens, some of the most ostensibly invulnerable heroes of the super-persuasion become far more interesting than we thought. And with a bit of that – thought – we might be able to turn hero worship into something healthier than fuel for masculine myths. As a father of two very young boys (29 months and 6 days, respectively) I can already see the gender tsunami approaching, along with the dangers of being swept away by waves of masculinty. It’s a worrying thing, not just for their own navigations through a binaried landascape, but for their perception and treatment of others. I think that every superhero costume should come with a list of discussion questions. Boys, more than ever before, need to talk. They need to be allowed to express complex emotions, verbalise their insecurities and step into the vulnerability that being a man so brutally slams a door on. In my ideal world, the toddlers football superhero session would start with circle time about winning and losing and trying and failing and teamwork and pressure and fear, using the costumes as a way into real coaching, real well being. Until then, this article will have to suffice. Please share. Something to think about. I always deal in absolutes. Who’s immune to polar absolutes?